Why let an average catering company choose what you're drinking at your wedding or private event? We can create a custom cocktail menu tailored to your exact needs - sure to impress even the fussiest of guests. We provide the knowledge and training necessary to execute a cocktail list that perfectly suits the concept and environment of your space. Everything from selecting spirits to producing house-made syrups can be incorporated into your beverage program. Corporate bonding? Bachelorette party? Just want to know how to make some really amazing cocktails? 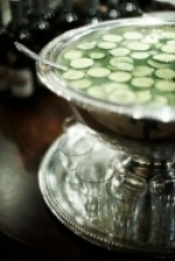 We offer an entire range of cocktail class options for private groups to corporate functions. We will help through every step of the staff selection and training process as needed. Training materials and on-call assistance will be provided to create an efficient bar team.